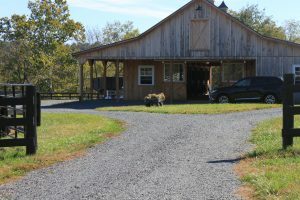 From the start, J&P tries to look at your property and see the entire picture…..after all, this is your home, your barn and your farm. Many other companies can build your arena, but, J&P will help you with the decision making process of any of your projects. It’s important that we ask the right questions such as “What do you need? What will work best for you? What are your long-term plans?” There are numerous factors and decisions that go into creating your farm and building the barn, paddocks, run-in sheds and more. J&P will give you advice on the pros and cons of your project and even offer alternate solutions to problem solving if needed. Our goal is to try and guide horse owners and barn managers to an end product that will be functional for many years. 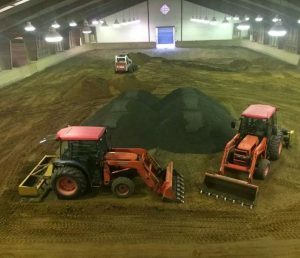 J&P has the ability to complete any of your equine/farm projects from beginning to end because we have all necessary manpower, equipment and certified excavation training. Rest assured that we take pride in the fact we are a Virginia Certified Responsible Land Disturber. J&P serves the Tri-state area. We have done most of our work in Loudoun County, Clarke County, Fauquier County, Frederick County Virginia, Frederick County Maryland and Jefferson County West Virginia; however, if you are located outside these areas, please give us a call we still might be able to assist. Simply stated, we enjoy helping horse owners with all types of problems that may arise when owning and operating a barn or farm. I invite you to read all about us and how we got started. It’s been quite a journey of over 30 years. It is our goal to meet your expectations because our philosophy is simple……Behind every happy horse, is a happy horse owner. In order to set up a meeting, please call (540) 882-4883, or reach us through our Contact Form. We are ready to help you and your farm. We looking forward to working with you. Redirection of water away from barn, paddock, sheds, etc. © Copyright - J&P Lawn, Inc. All Rights Reserved.